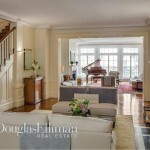 The 4BR/3BA condo flaunts its classic appeal throughout, with a gorgeous grand staircase, tall ceilings and wood floors. 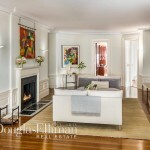 The foyer leads to a massive drawing room with the duplex’s original wood-burning fireplace and its timeless mantel. 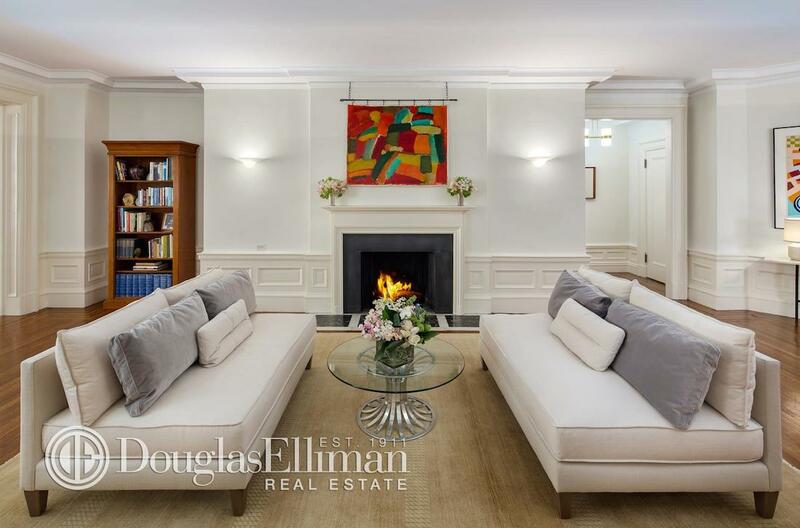 The drawing room is also accented with wainscoting, sconces, and original crown molding that evoke the nostalgia of high society New York. There’s a large living room with floor-to-ceiling windows punctuated with romantic Juliet balconies, and a decorative fireplace. 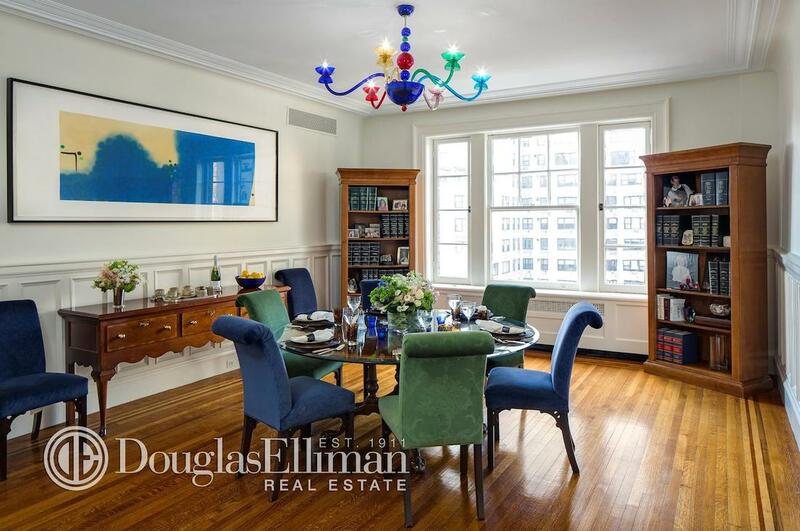 The formal dining room is lined with large windows, letting in an abundance of natural light. 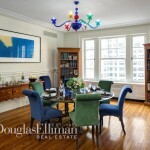 The kitchen also has plenty of light, and is outfitted with a butler’s pantry, a wet bar, and a sunny eat-in breakfast room. But don’t let the kitchen’s nod to old New York charm fool you. 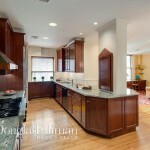 This large kitchen is outfitted with the most modern, state-of-the-art appliances. After a satisfying meal of roast duck and escargot, the owners will probably take their guests to the library for cigars and brandy – because that’s how Edith would have wanted it. 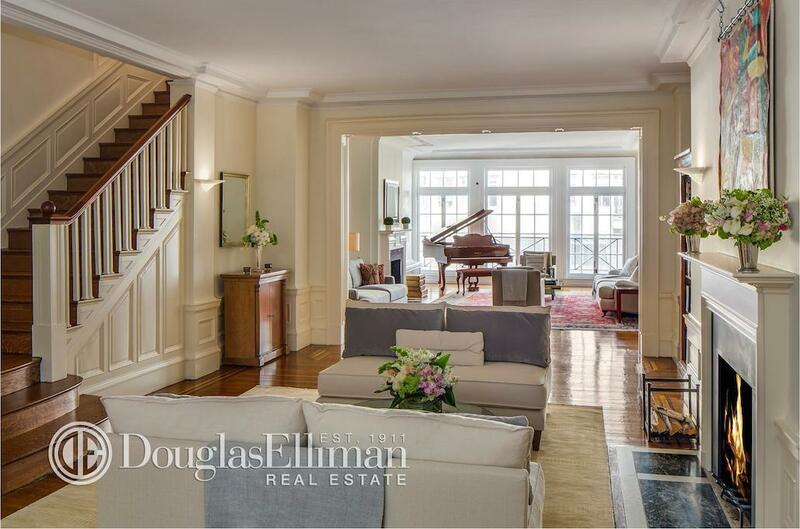 That curved white oak staircase you saw in the first picture leads to the condo’s 4 bedrooms. The master suite is nothing short of… well… masterful; with a wall of custom-built closets and… wait for it… two more closets to make Mrs. Kelly’s inner Carrie Bradshaw faint from joy. 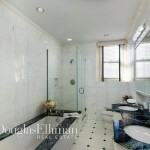 The marble en suite has the condo’s original bathtub and a separate shower. This floor is ready for the intense heat of East coast summers with its own, air conditioning system, and there’s actually room for an additional bathroom. 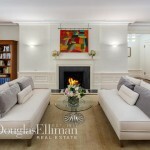 830 Park Avenue was built in 1912 by brother duo George and Edward Blum. 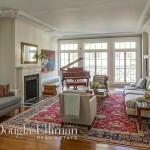 The exclusive address is considered one of Park Avenue’s finest and is located right near the Whitney Museum.